Fourth and eighth was not the result Citroen was looking for in the Wales Rally GB but it still brought valuable points for the team. 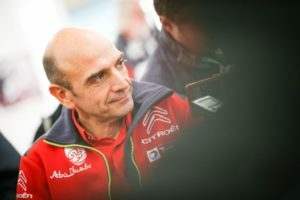 Citroen Racing team principal Pierre Budar pointed out the C3 WRC reliability and speed. 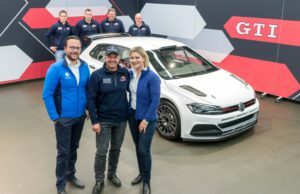 Above all, I’d like to highlight the performance of our team, who once again did a fantastic job, and our car. 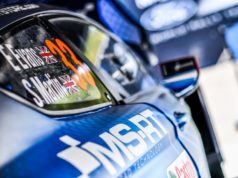 Not only was it perfectly reliable, especially on Saturday’s leg where the crews had to complete more than 150 kilometres of timed stages with no midday service, but it was also very competitive on these roads, which are always really difficult to read. On day two, for example, out of a total of nine stages, at least one of our C3 WRCs – if not both – finished in the top three on six occasions, winning one of the tests. Whilst our rivals fight it out for the titles at the end of this season, that shows that we are right in the mix, regardless of the racing conditions. The fact is the level of grip was pretty low on Saturday morning, before the roads dried out more in the afternoon, so it’s really pleasing we were so competitive. 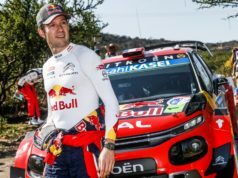 Yes, having closed to just 1.7s of third placed on Saturday, we had to roll the dice and go for it on the final day and that is precisely what Craig [Breen] did. The truth is that when you are pushing and committed at that level, it’s easy to make a minor mistake, especially on such a slippery road surface. In any case, I’m pleased that our crews showed a lot of fighting spirit throughout the weekend, never giving up despite having a road position on day one that could easily have ruined their chances of a good result. We’ll now focus on Spain, driven by this fighting spirit. We’ll work harder again to do even better there.